FinTech Australia is the leading industry voice for Australia’s fintech industry. We have a strong policy and advocacy agenda to grow the Australian fintech industry and to create jobs, economic growth and prosperity for Australians and Australian-based businesses. We work closely with government and industry to develop new approaches which help accelerate innovation in financial services and drive consumer and business demand for fintech, while still ensuring a secure and stable financial system. Since our inception in early 2016, FinTech Australia has produced over 16 submissions on behalf of its 100+ members. A selection of these is below. In February 2016, FinTech Australia’s members published a detailed policy reform paper, with proposed policy changes across a range of areas including lending, financial advice, insurance, crowdfunding, digital currencies, payments, venture capital tax incentives and open financial data. Much of this paper formed the basis of the Australian Government’s fintech priorities statement, “Backing Australian FinTech”, published in March 2016. The creation of a world-first “regulatory sandbox” by the Australian Securities and Investments Commission (ASIC) which allows allow eligible fintech businesses to test new products, without holding a financial services or credit licence. See the ASIC website for further background. After launching a Productivity Commission inquiry on Data Availability and Use in Australia, the government announced a commitment to create an Open Banking data regime in 2018, to create additional choice and opportunities for consumers and new business opportunities for fintech firms. This transformational reform initiative was largely driven by the advocacy efforts of FinTech Australia and its members. Visit the Productivity Commission's Website for more information about the inquiry, and the 2017 Federal Budget page to see the Government's announcement on Open Banking. Changes to GST laws so that the purchase of digital currencies are no longer subject to GST from 1 July, 2017. Defining digital currencies and how they should be treated under Australia's tax, AML and CTF regimes supports the growth of digital currency use in Australia. Changes to make venture capital investment more attractive, which has helped drive more funds towards the growth of early-stage startup companies. See the ATO's website for more details. The publication of advice from ASIC which supports the ongoing expansion of Australia’s digital advice industry. Visit ASIC's website for more information. Receiving a funding grant from Federal Treasury to run an international public relations campaign to promote the Australian fintech industry to the world. After introducing Equity Crowdfunding (ECF) for Public companies, new legislation has been announced to expand Australia's ECF regime to include Private companies. 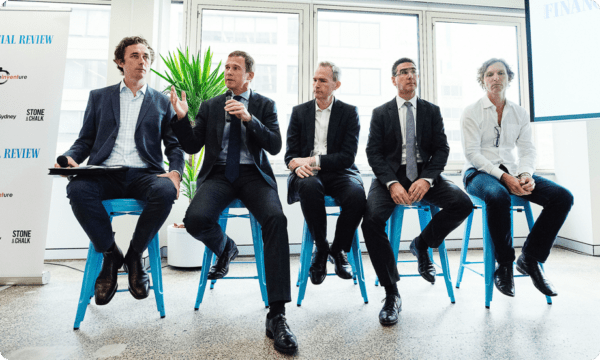 FinTech Australia and its members undertook a national roadshow collecting feedback from key stakeholders and startup communities to incorporate in our submission on the new ECF regime. We’ve been busy lodging submissions on the key policy areas that impact fintech companies. 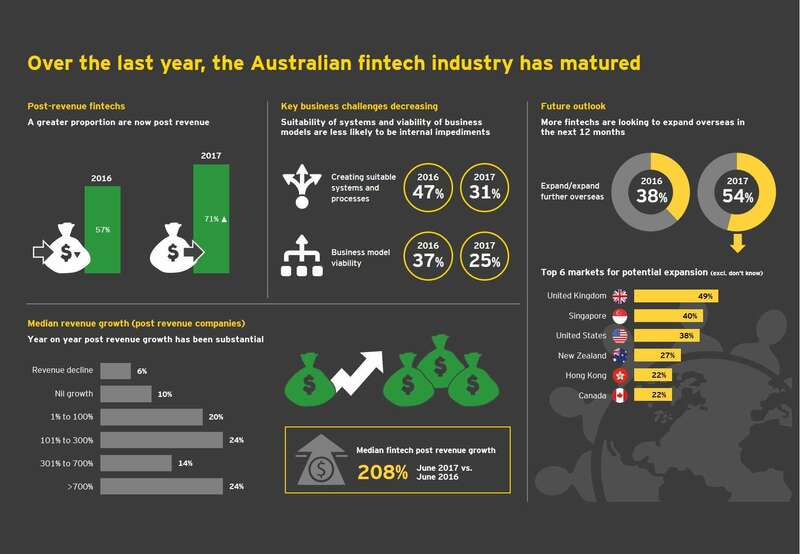 EY and FinTech Australia have collaborated to produce the second comprehensive analysis of the Australian fintech ecosystem. The census is based on survey responses from 166 fintech community members along with a series of qualitative interviews with industry leaders.